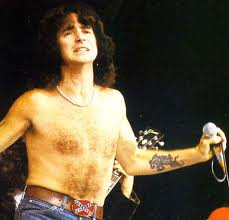 This entry was posted on September 14, 2013 at 4:37 pm and is filed under 1980s, Death, Heavy Metal, Illness, Music, Rock, Uncategorized with tags AC/DC, Bon Scott, Classic Rock, hard rock, Heavy Metal, Heavy Rock, Jefferson Starship, Paul Kantner, The 1970s, The 1980s. You can follow any responses to this entry through the RSS 2.0 feed. You can leave a response, or trackback from your own site. Didn’t know about Kantner’s near fatal haemorrhage. Thanks fotr that info. As terrible as Bon Scott’s death was, for me the worst part of 1980 was the death of John Bonham, which shook this 14-year-old to his core. He was my drumming hero & biggest inspiration. Tickets for Zeppelin’s US tour were about to go on sale, and his death meant that I would never get to see them live (even though I’ve seen the three surviving members individually numerous times). I realize John Lennon’s murder overshadowed everything that year, and it did affect me, but 33 years later I still commemorate Mr. Bonham on September 25 by cranking some Zeppelin and playing my drums (which I do regularly anyway). God, I can’t believe I totally forgot about the death of John Bonham. I thank you for saving me from looking totally stupid. I blame being on sea duty at the time when news came in drips and drabs. That’s how I heard about Kantner’s near fatal haemorrhage. I do feel for you about not getting to see Zeppelin live. The same thing happened to my friend in ’77. He had tickets to see them at JFK in Philadelphia before Led Zeppelin had to call off the tour on account of the death of Robert Plant’s son. I will tribute a future post to the death of John Bonham in the future. Although it wasn’t difficult, full marks for guessing John Lennon. 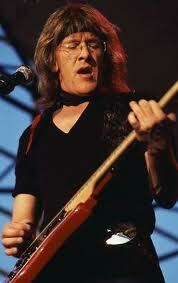 I didn’t know about Kantner’s illness either. Thanks for posting. RIP Bon — Dirty Deeds was one of the first rock songs I ever heard. You’re welcome. I didn’t hear that album until 1981, for me it was Highway to Hell.